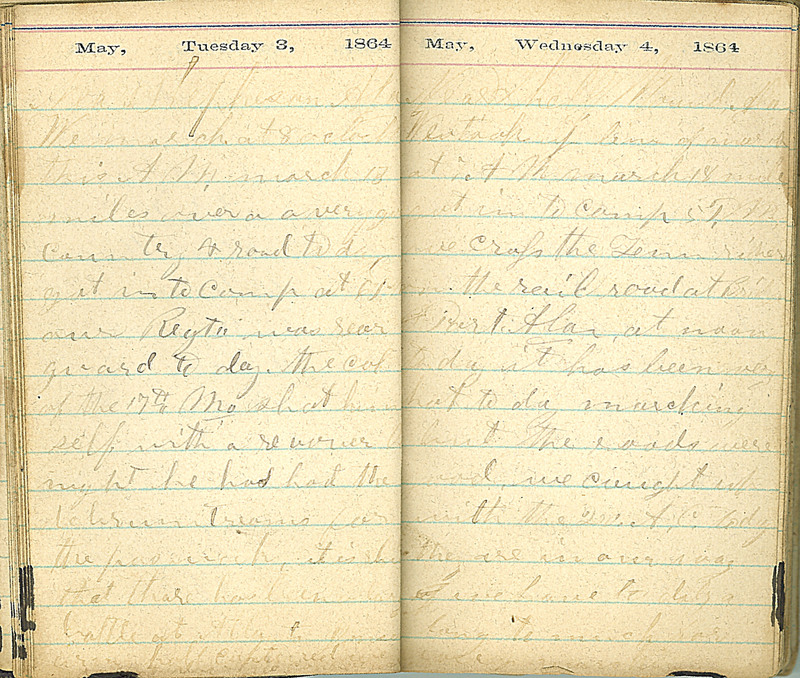 May, Tuesday 3, 1864 Near Stepheson Ala We march at 8 oclock this A.M. march 13 miles over a very go[od?] Country & road to day. got in to Camp at 6 P.M. Our Regt,, was rear guard to day. the Col. of the 17th,,Mo. shot him self with a revover to night he had had the delirium tremns for the past week, it is [?] that there has been a larg[e?] battle at Atlanta [? ] army Captured [?